Check the box if you want the ICD 3 to provide power to the target circuit. 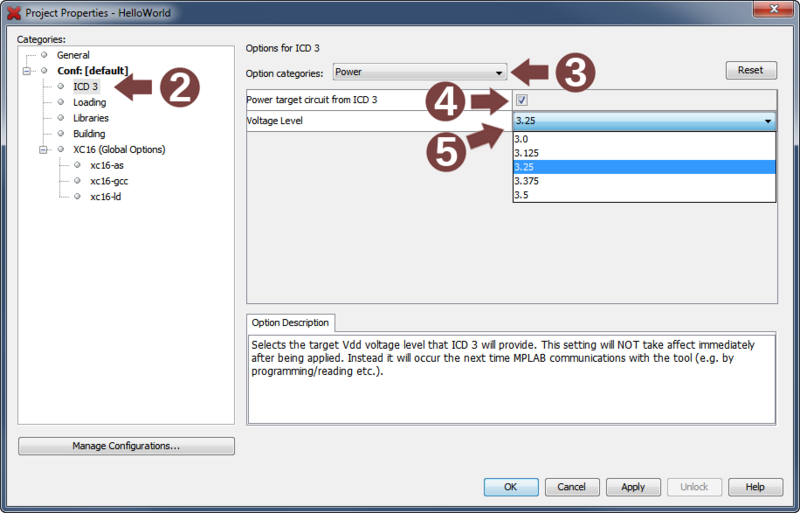 If you have chosen to power your target from the ICD 3 above, select a voltage level from the list that the ICD 3 should provide to the target. It may not be possible to power your target if its current consumption is greater than what can be provided by the USB host minus the current required by the ICD 3 itself.